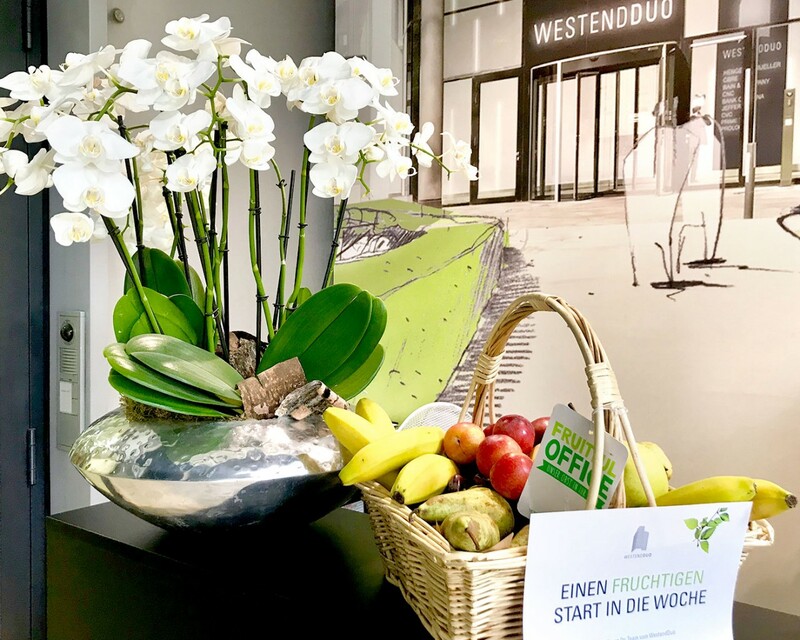 They all come through the lobby: You, your colleagues, your customers and visitors, making the news all the better that it is to become fresher, more modern and more inviting this year! We will regularly update you on the current situation and the changes to be made during this period. In addition, there is a regular e-mail newsletter to which you can subscribe. And if you want to have a word with us about it, we have set up a “renovation helpline” where you can call us directly between 9 a.m and 6 p.m., and an e-mail address. You are bound to notice it on the very first day: walls going up, the building site reconstructed and a detour set up for your way into the building. From the end of March, the reception desk will be on the ground floor and, for the duration of the renovations, you will come into the building through a side entrance. 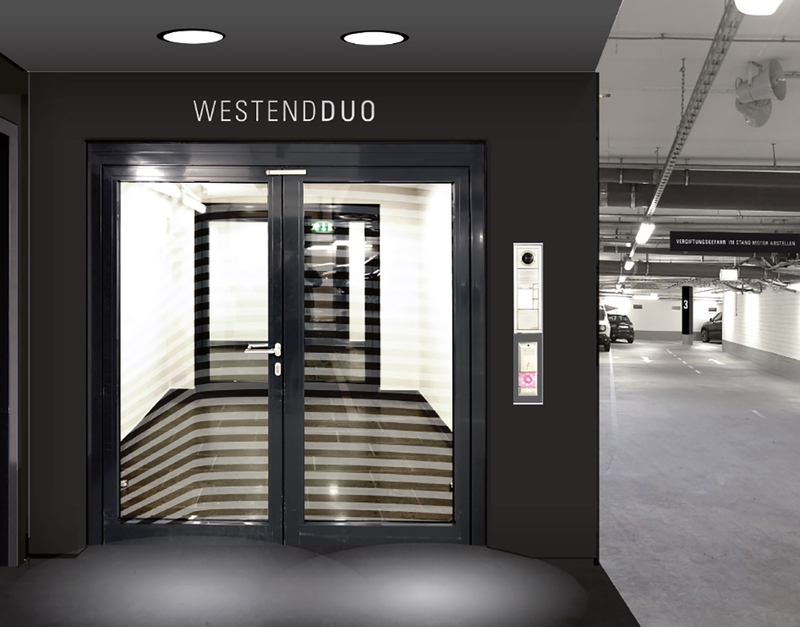 We have also ensured an attractive optic design for this entrance area so that you and your customers can continue to feel at home in WestendDuo. The team from reception will still be pleased to assist you. All services, such as post, laundry service, etc. remain at your disposal. Your customers and visitors will also access the building through this entrance. 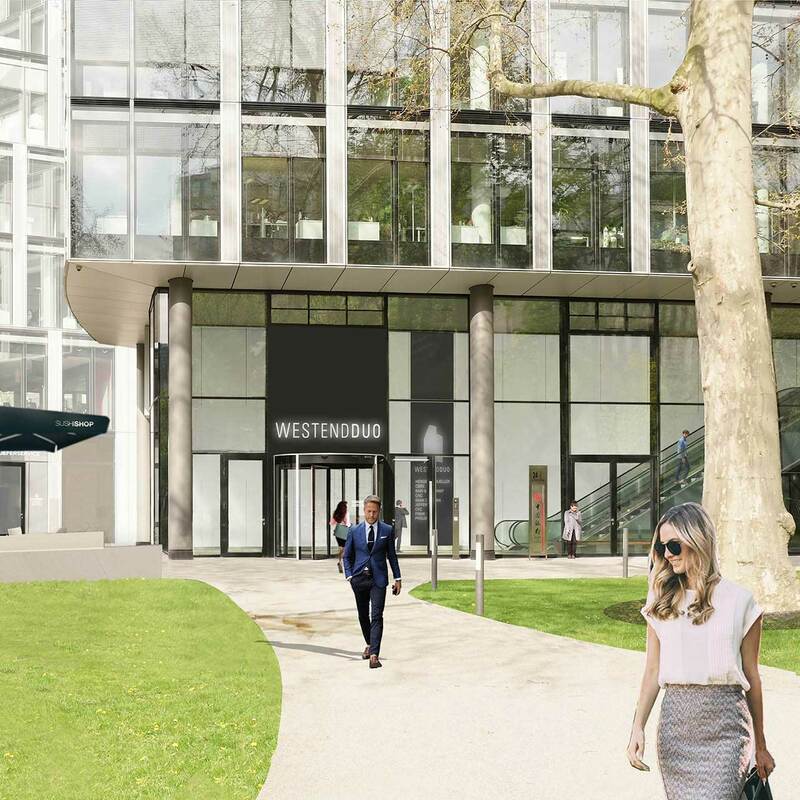 The reception continues to guarantee your security and will register every visitor to WestendDuo, and direct them to you. A VITAMIN-RICH GREETING FOR YOUR WEEK! We hope you noticed the vitamins at reception last Monday. You didn’t? Well, from the morning of 28 May you will have the opportunity to sweeten your day with fresh fruit! How do you like the temporary entrance? Please do pass on your suggestions to us! 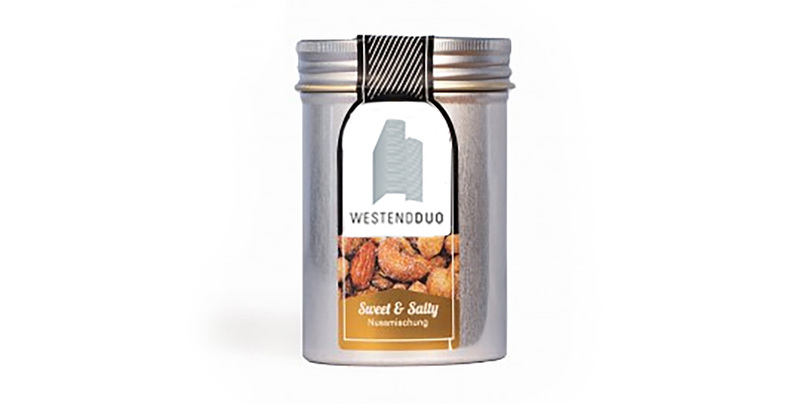 To raise all our energy levels for this phase, we have had a blend of tasty nuts mixed. They are waiting for you at reception! In the first step, all the building material we no longer need will be removed this month. Once again, we present the illustration of how things should look in the future. Work is not only going on at reception, changes are also afoot in the underground garage. No need to be concerned, as the new design and clearer directions will provide a new, more convenient orientation for you and your visitors. In addition, an electric car charging point will be available in the underground car park from spring on. In order to ensure that it can be used by different tenants, each car can be charged for around two hours. You then return your vehicle to the parking space and the next user can avail of the e-charging point. You let reception know when you plugged in your car and you will be informed punctually when the vehicle has to be moved. As soon as this system is operational, we will inform you in detail. In the first phase, the building’s lobby will be redesigned. A new visual lighting concept, dark floor covering and a stele to match the look frame this space and the path to the escalators. Once you have arrived upstairs, you are received by the staff at the new reception desk, which will be lighter and less capacious. Your daily trip to the mail box will still take you to the back of reception. Here locked mailboxes will be installed for you. As before, packages and larger postal items will be delivered to you directly. Our “eye” in the lobby is getting a new surround and the floor covering on the ground floor will be refurbished. Finally you go through an access system to the lifts. In the last tenants’ magazine, we already showed you some of the measures. If you wish, you can download the magazine once again as a PDF.